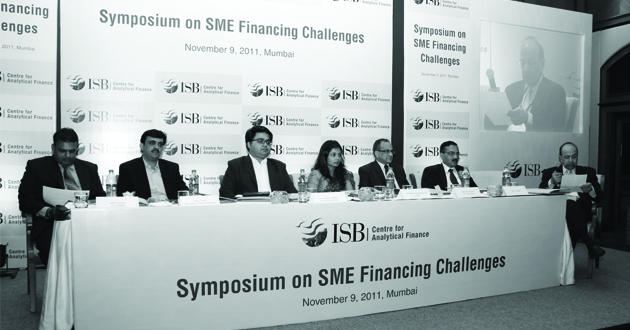 A panel discussion on “Alternative Financing Sources for SMEs” was held as part of the symposium on SME Financing Challenges organised by the Centre for Analytical Finance (CAF) at the Indian School of Business (ISB). The panellists included eminent personalities in the financial sector such as Rakesh Kapoor of IFCI Factors, Sucharita Mukherjee of IFMR Capital, Ravi Tyagi of NSE, Chaitanya Pande of ICICI Prudential AMC, SK Das of Bank of Baroda, Amit Shah of Citibank, and the moderator, Professor Sankar De, Executive Director, CAF. Research carried out by the Centre for Analytical Finance (CAF) has shown that a large chunk of the financing for small and medium enterprises (SMEs), over 50% by some estimates, comes from non-bank, non-market sources. These alternative sources of finance of which receivables financing/trade credit is the primary means are therefore very important for SMEs. The cost of alternative sources of financing also tends to be significantly higher than traditional bank financing. The purpose of the panel was to identify problems facing alternative finance and to propose solutions for the same. Bringing alternative finance into the market system through financial intermediaries holds great promise. It has the potential to reduce the cost of capital for SMEs while simultaneously creating a credit history for SMEs which in turn, would make it easier for them to access cheaper bank finance. However, for this to happen, we need to erect what Mukherjee called “the three pillars” – high quality origination, orderly risk transmission and robust risk aggregation. The first pillar requires credit assessors with in-depth local knowledge, who have the ability to judge a borrower’s credit worthiness in the absence of detailed documentation. This lack of documentation makes SMEs unattractive clients for traditional lenders. MFIs, non-banking financial companies (NBFCs) and even credit raters can potentially fill this gap by relying on their local, specific knowledge of SME businesses. Once this happens, SME credit could be packaged in the form of loan pools or securitised assets, and sold to investors who would be interested in such asset classes. This would be the second pillar. The third pillar requires that originators build investor confidence in these new assets through responsible marketing and co-investment. In fact, Chaitanya Pande mentioned that a few years ago, there had been sales of SME loan pools which received a good response from market participants but since then, the practice has died out. Speaking as an investor, he believed that there would still be an appetite for assets backed by SME credit. An example of such an asset would be securitised trade credit. Professor Sankar De explained how trade credit owed by large firms to SMEs could be packaged as a securitised asset, which would essentially be commercial paper with the credit rating of the large firm. However, implementing such an idea would require regulatory clarity, exchange tradability and formal rating programmes. Ravi Tyagi discussed the NSE’s plan to set up an SME Exchange. Firms listing on the exchange would be able to access equity capital, which is sorely lacking for SMEs in India due to an underdeveloped venture capital industry. Throughout the discussion, all panellists agreed that there was no silver bullet – none of the ideas alone could solve the problems facing SME financing. 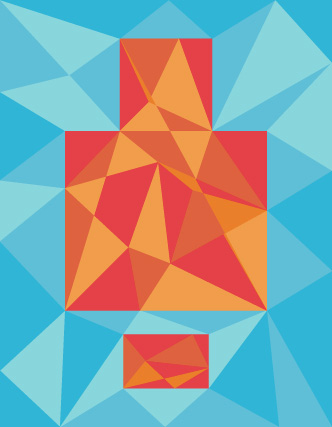 Lack of information and regulatory uncertainty remain major stumbling blocks. However, continued financial innovation can play a significant role in allowing SMEs – the engines of growth in any emerging economy – to reach their full potential.